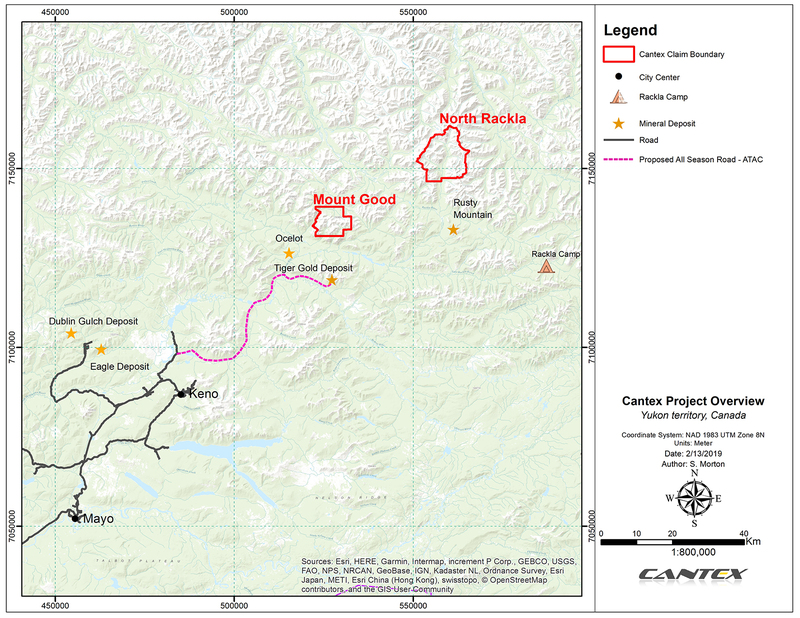 Yukon | Cantex Mine Development Corp.
Cantex has 100% ownership of several projects in Canada’s mining friendly Yukon Territory. These projects were generated from the Company’s 30,000 square kilometre regional heavy mineral sampling program over an area favourable for Carlin style mineralization following ATAC Resources Ltd discovery of the Osiris deposit in 2010. This work identified areas which contained highly anomalous gold and pathfinder elements for Carlin-style and base metal mineralization. These areas were staked in 2012 and exploration is currently focused on the North Rackla claim block. Exploration of the North Rackla block commenced with detailed heavy mineral sampling to define portions of the drainages which hosted mineralization. These watersheds were then evaluated using composite soil-talus samples collected at 25 metre intervals along 200 metre spaced lines. Where favourable results were obtained, infill lines were completed down to a 50 metre spacing to define the mineralization source. Over 20,000 composite soil-talus samples have been collected on the North Rackla block. 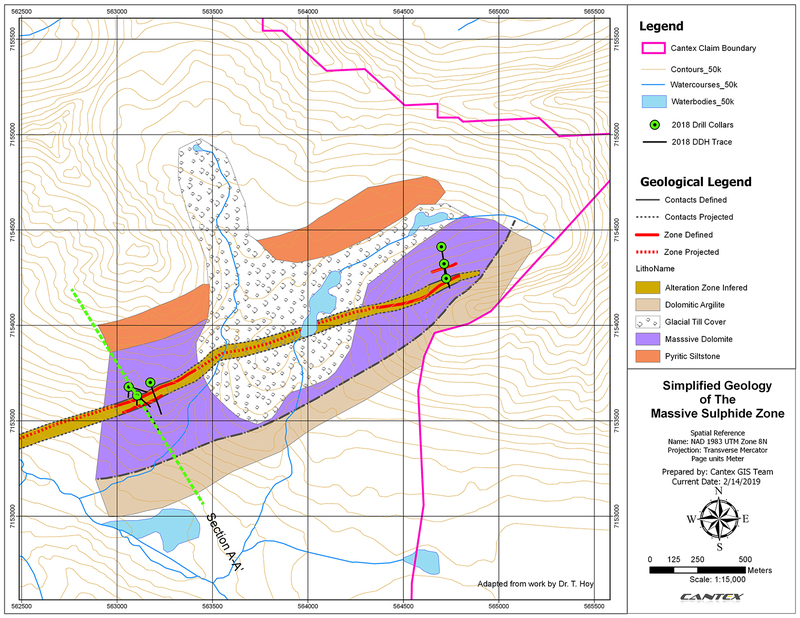 The soil-talus sampling has identified several mineralized zones within the 15km x 15km North Rackla claim block. The most advanced of these is the Massive Sulphide Zone. The Massive Sulphide Zone has so far been traced for almost 2.5 kilometres and hosts high silver, lead and zinc values. The mineralization is hosted in Proterozoic aged rocks and has elevated manganese values similar to the Sedex style Sullivan and Mt Isa Mines. Drilling in late 2016, 1.6 kilometres away at the southwestern end of the Massive Sulphide Zone encountered oxidized mineralization that increased in grade and width with depth. 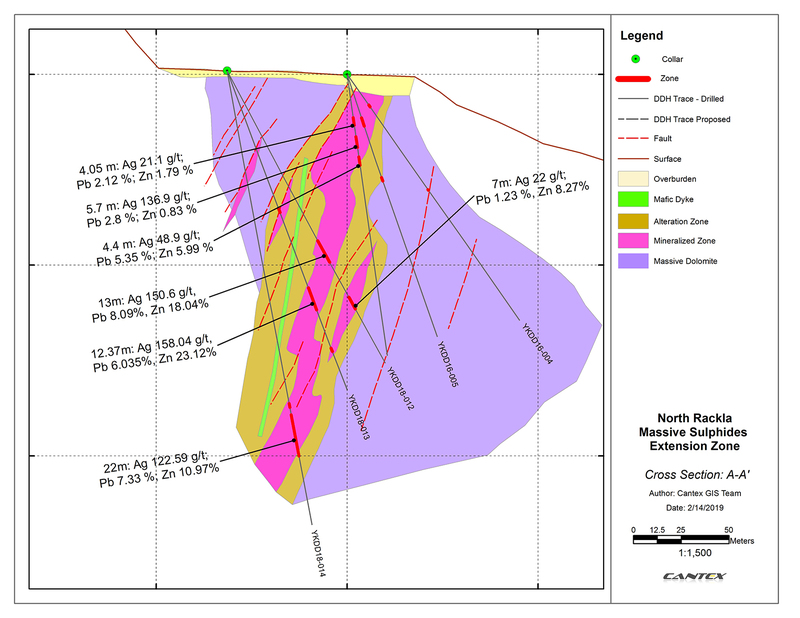 In the summer 2018 program, Cantex drilled both the northeastern (Discovery Zone) and southwestern (Extension Zone) portions of the Massive Sulphide Zone. At the northeastern end drilling from 3 pads tested the mineralization beneath the substantial widths encountered in trenching. At the Extension Zone drilling tested the mineralization to greater depth. Maps and cross sections showing the above drilling are presented at the bottom of the page. 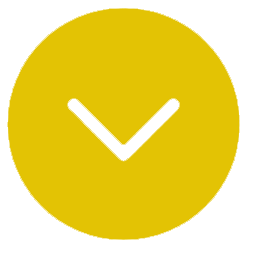 In addition to the Massive Sulphide zone Cantex has discovered several other prospects within the North Rackla claim block. One of these is the Northern Area which contains polymetallic mineralization in a stromatolitic limestone which is capped by a sandy bedded dolomitic unit. 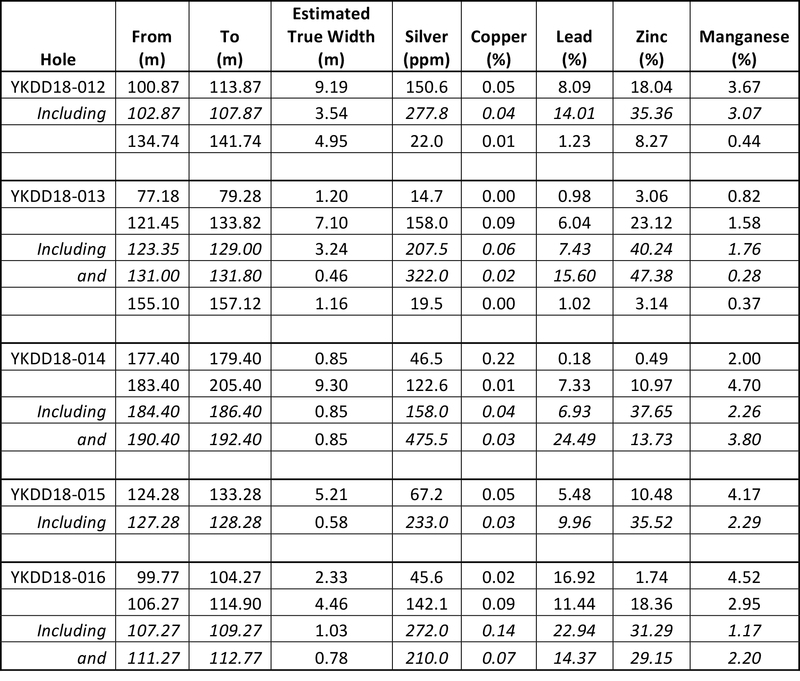 Prospecting, rock sampling and trenching of the mineralization which outcrops over a 120m by 150m area have returned results as high as 15.75 g/t gold, 377 g/t silver, 11.0% lead and 32.5% zinc. Drilling was cut short during the 2018 summer season and the first hole on the area was curtailed prior to completion. Drilling will recommence this spring.